A Welsh language religious periodical intended for the children of Welsh-American Sunday schools. The periodical's main contents were religious articles. Originally a monthly publication it was published bimonthly from April 1870 onwards. The periodical's editor was the musician and author, Hugh John Hughes (ca.1828-1872). 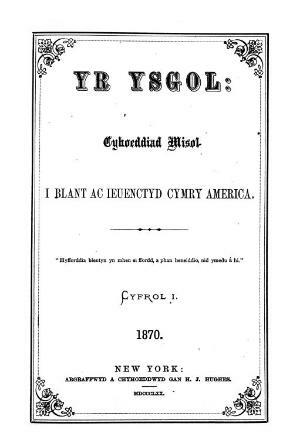 Associated titles: Blodau yr Oes a'r Ysgol (1872).